FASTPCBA always adheres to the high standards of supplier teams, components, production, quality inspection teams and process requirements, and there is no shortcut to quality. Jingbang Electronics pays attention to the quality of PCBA products, establishes a sound and perfect product quality assurance system, and sells products at home and abroad with advanced technology, excellent equipment, sophisticated testing instruments, strict scientific management, and trustworthy products. The quality concept and good credit of “personality” are highly praised by users at home and abroad. 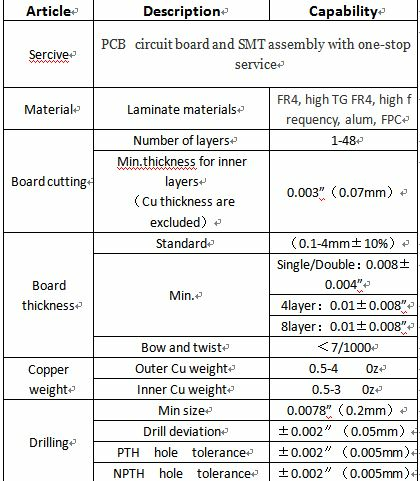 How does FASTPCBA ensure the processing quality of PCBA? Imported high-quality raw materials: The lead-free solder paste is selected from the Japanese brand KOKI (S3X48-M406-3), and the high-purity lead-free solder bar of Yunxi is selected. The tin wire is determined not to use secondary processing raw materials, and the quality is trustworthy. Rich supplier resources are more affordable in large-volume purchases, and suppliers with long-term cooperation can achieve large-volume purchases of products and reduce costs. Exquisite engineering technology: senior front-end engineers and test engineers to assist customers in analysis; PCB design and proofing, according to the test plan can effectively analyze all the causes and effects of the product, the order is qualified. With advanced production equipment and testing equipment, BGA mounting range is 0.18MM-0.4MM. The smallest placement material package is 01005, .MYDATA Swedish automatic SMT production line, daily production capacity of 3 million points and top quality control testing equipment. Strict quality checkpoint: QC is set up in front of the furnace for poor screening, PCBA 100% visual inspection after furnace, PCBA 100% optical inspection, sampling rate up to 60%, 13 temperature zone reflow soldering each product independently set temperature.